The 2016 presidential primary debates started in September 2016 with ten Republicans on stage, and then in October with five Democrats on stage. The visualization has two components. The top bubble chart shows the talking time of each candidate on various issues, collected by colleagues in D.C. 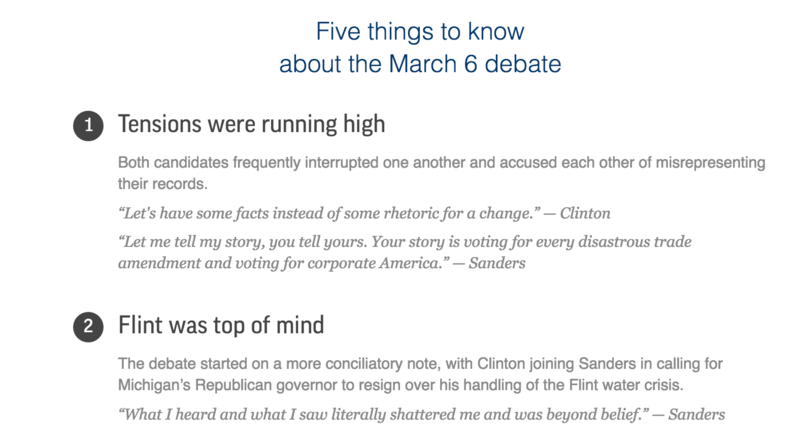 The bottom five-things-to-know lists highlights from the night before.